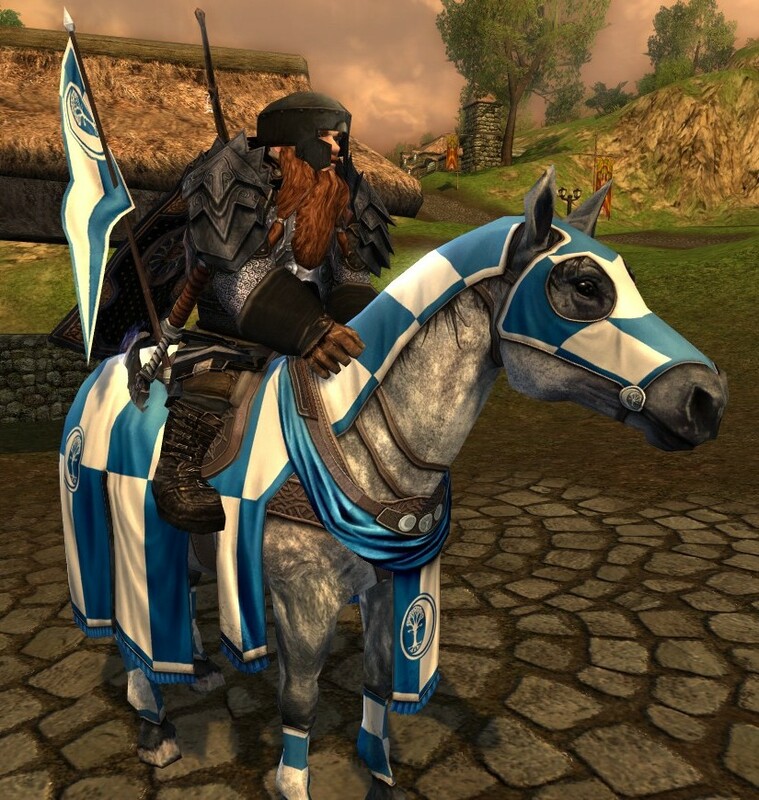 Today I was able to snag some screenshots of one of the Windfola winners of the Steed of Minas Ithil! 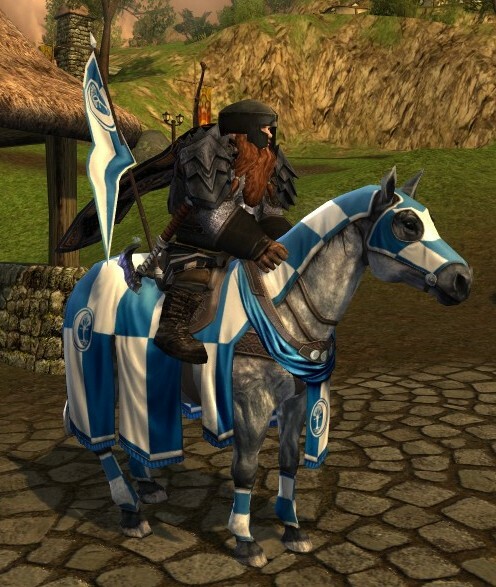 Here is Gunbar on his pretty dwarf-pony! Wow, that’s one great looking horse. I’d rather it be a character of your choice than whichever character wins it. Even if I have to wait a month or two before it shows up on the account I want it on. 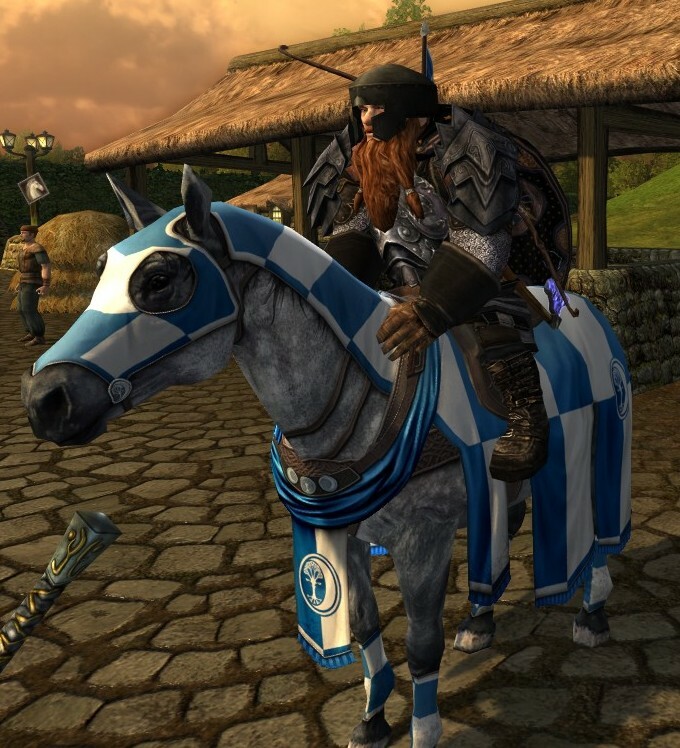 Now if Turbine can make horse comparisoning like this, why can’t we have leather or chainmail barding? Those would be awesome. « LOTRO Crafting Calculator Updates!